Gholizadeh, A., Ebrahimzadeh, R. (2010). An Analytical model of the organizational culture evaluation in Iran steel industry: a survey research of Tuka Steel Investment Holding Company. International Journal of Iron & Steel Society of Iran, 7(1), 1-10. A. Gholizadeh; R. Ebrahimzadeh. "An Analytical model of the organizational culture evaluation in Iran steel industry: a survey research of Tuka Steel Investment Holding Company". 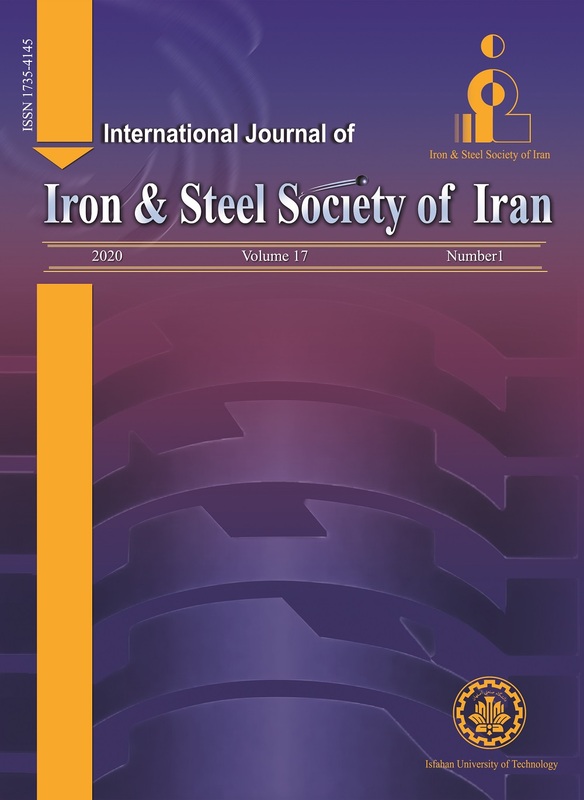 International Journal of Iron & Steel Society of Iran, 7, 1, 2010, 1-10. Gholizadeh, A., Ebrahimzadeh, R. (2010). 'An Analytical model of the organizational culture evaluation in Iran steel industry: a survey research of Tuka Steel Investment Holding Company', International Journal of Iron & Steel Society of Iran, 7(1), pp. 1-10. Gholizadeh, A., Ebrahimzadeh, R. An Analytical model of the organizational culture evaluation in Iran steel industry: a survey research of Tuka Steel Investment Holding Company. International Journal of Iron & Steel Society of Iran, 2010; 7(1): 1-10. The present study has objectively investigated and reviewed 164 managers, employees and workers of Tuka Steel Investment Holding Company (TSIH Co.) as one of the most successful companies in Iran's steel industry. The Survey approach has been adopted to serve the following purposes of this study: a) to define the prevailing organizational culture in steel industry; and b) To review alignment dominant in the prevailing organizational culture with emphasis on the TSIH Co. To achieve the above-mentioned objectives, a researcher- made questionnaire was developed according to Freeman and Cameron model of organizational culture to investigate the dominant culture and the aligenment of the organizational culture. The results of data analysis using ANOVA with repeated measures showed that the dominant organizational culture in these organizations was hierarchical. On the other hand, there was lack of alignment between the dimensions of organizational culture. The research findings showed that due to the governmental structure of organizations, lack of competitiveness, conflicting views of managers in these organizations, appointments of the managers on the basis of connections and lack of stability and cohesion within the active organizations of this industry, they have faced difficulties, the ultimate outcome of which is the lack of conformity and alignment in organizational culture. The researchers, by presenting the research results, intended to find an appropriate approach and orientation to assess organizational culture in Iran steel industry with emphasis on Tuka Steel Investment holding (TSIH CO) in order to present suitable strategies to strengthen or improve the above-mentioned conditions. A. Farhangi: Management knowledge, 55 (2001), 24. Y. Allairre and M. E. Firsirotu: Organ. stud. 5(1984), 193. S. P. Robbins: Organizational behavior, Prentice Hall (2007). P. Martins and S. Terblanche: Eur. j. innovat.manag. 1(2003), 64. R. Garg, and J. Ma: Benchmarking: an international journal, 3 (2005), 260-274. D. Denison and J. Janovics: The international institute for management development and university of Michigan business school (2006). J. Bodley: Mayfield A fascinating introductory to anthropology(1996). W. Ouchi and A.Wilkins: Annual Review of Anthropology, 11 (1985), 457. C. C. Lundberg: On The Feasibility of Cultural Interventions in Organizations, Organizational Culture (1985), 169. E. H. Schein: Organizational Culture and Leadership. San Francisco: Jossey-Bass(1985). G. Hofstede, B. Neuijen, D. D. Ohayv, G. Sanders: A Qualitative and Quantitative Study across Twenty Cases, Administrative Science Quarterly(1990). G. Hofstede: J. Manage. Stud. 3 (1986), 253. M. Kumar and S. Sankaran: The TQM magazine, 2(2007),176. D. Prajogo and C. McDermott: Int. j. oper.prod. man. 11 (2005), 1101. A. Kanousi: Managing service quality,1(2005), 57. A. Shahin and P. Wright: The leadership & organization development journal, 6 (2004), 499. Z. Abdul Rashid, B. Abdul Rahman ,F. Sambasivan. :The leadership & organization development journal, 2 (2004), 161. P. Lok and J. Crawford: Journal of management development, 4(2004), 321. C. Silverthorne: The leadership & organizational development journal, 3 (2004), 25. A. Liu, Z. Shuibo, L. Meiyung: Engineering construction and architecture management, 4 (2006), 327. A. Chandrakumara and P. Sparrow: Int. j. Manpower, 6(2004), 564. J. Hoogervorst: Journal of managerial psychology, 3(2004), 288. C. Fey, D. Denison: SSE/EFI working paper series in business administration (2000). M. J. Hatch: Organization Theory Modern, symbolic and postmodern perspectives, Oxford University Press (2006)2. D. Lund: Journal of business & industrial marketing, 3(2003), 219. P. Hawkins: Human relations, 4(1997). K. S. Cameron and R. E. Quinn: Diagnosing and Changing Organizational Culture, Reading: Addison Wesley (2006). C. Fornell and D. F. Larcker: J. Marketing Res. 18(1981), 39.